We're putting on a talk, an exhibition and a writing session to celebrate. 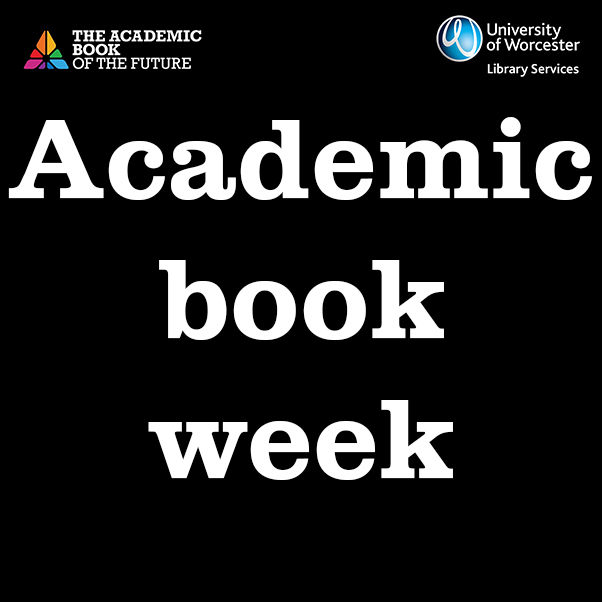 #AcBookWeek is aimed at and created by all those who write, make, sell, work with, or read, academic books. 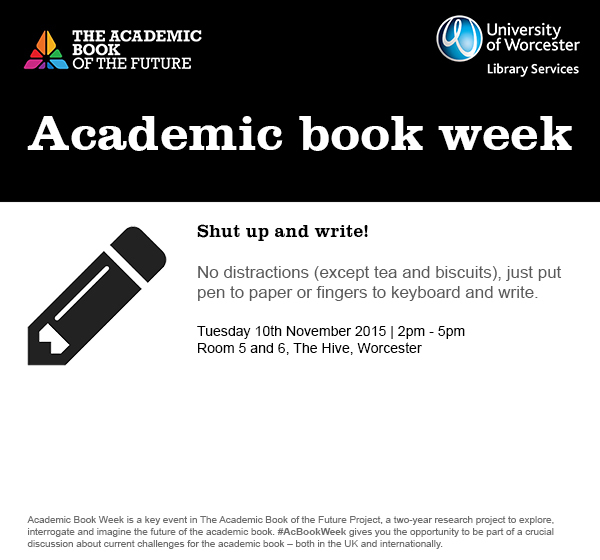 Academic Book Week is taking place from 9th - 16th November 2015, all over the UK and beyond. Here at the University of Worcester, we have arranged three events. 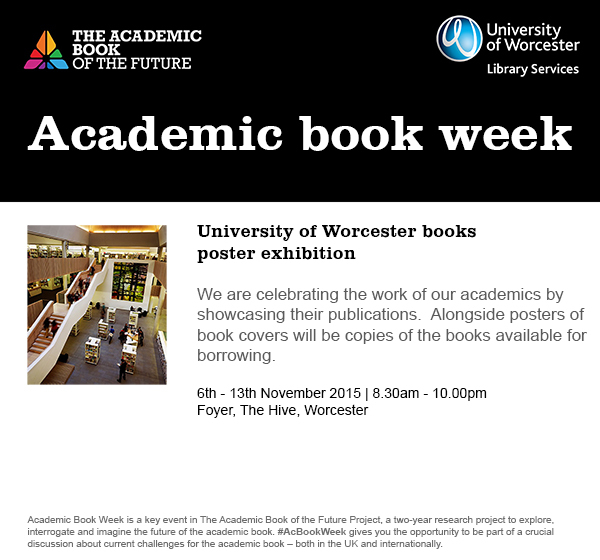 In the foyer of The Hive throughout the week, we will be showcasing our academics' publications in a poster exhibition. Copies of the books available for loan will be shown alongside. Bring your laptop or some paper and a pen to The Hive and enjoy an afternoon of peaceful writing in the Shut up and write! session. Duncan Forbes, one of the University writers in residence, will be on hand for any questions. We've put aside two rooms between 2pm and 5pm, one of which will be supplied with tea and biscuits. What will the book of the future look like, and how will it affect me? 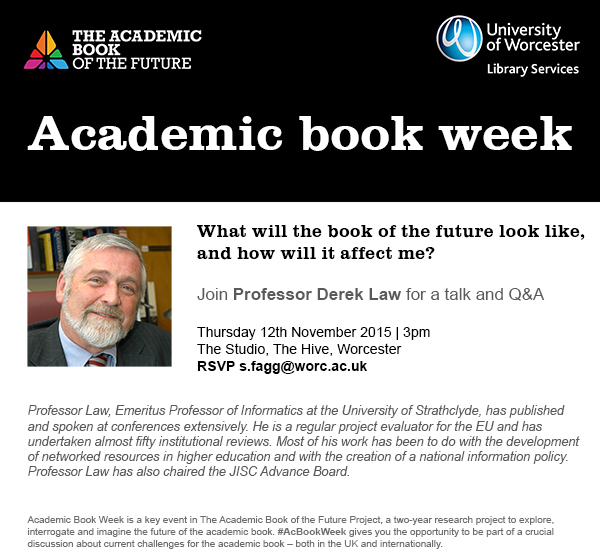 We'll be treated to a talk on the future of books with Professor Derek Law on Thursday 11th November, which will be followed by a question and answer session. Please RSVP to Su Fagg if you would like to attend. Professor Law, Emeritus Professor of Informatics at the University of Strathclyde, has published and spoken at conferences extensively. He is a regular project evaluator for the EU and has undertaken almost fifty institutional reviews. Most of his work has been to do with the development of networked resources in higher education and with the creation of a national information policy. Professor Law also chaired the JISC Advance Board for the past six years.